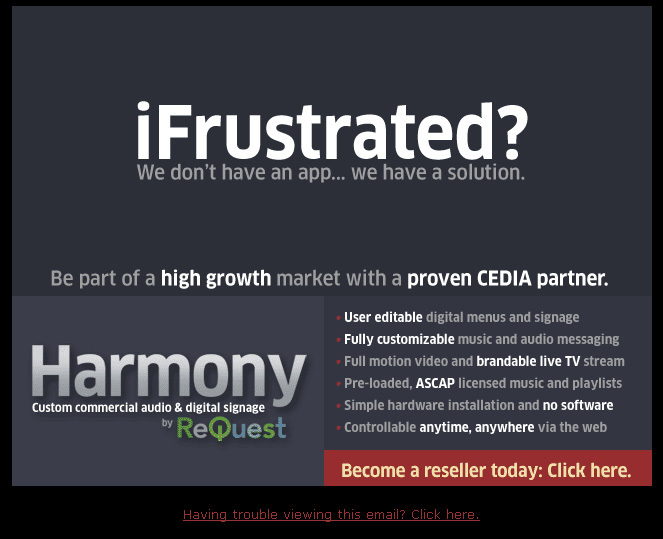 After attending CEDIA 2011, it seemed like very few manufacturers were offering anything truly new or interesting or… most importantly… profitable for an industry of struggling dealers and integrators. And it seemed like every single manufacturer was offering some variation on a pointless app. Our head salesman had the idea of a very simple campaign aimed at swaying some of those dealers into thinking about Harmony. 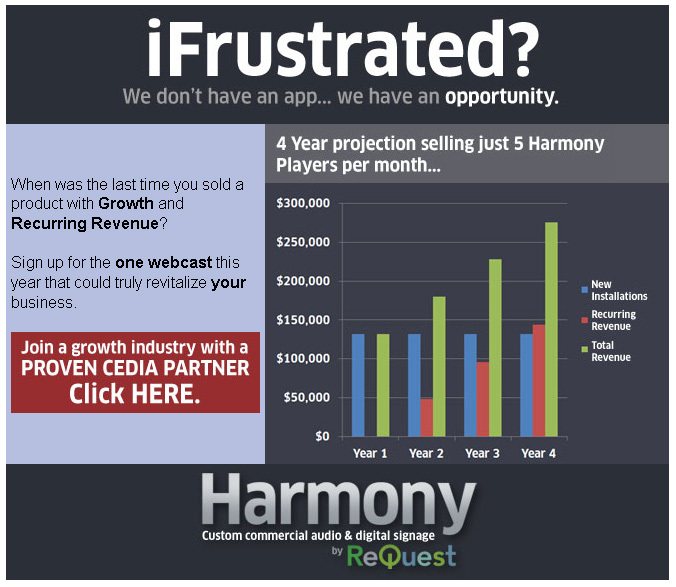 In 2013, Harmony split from ReQuest to become a separate company named <a href=”http://www.five-motion.com” target=”_blank”>Five-Motion</a>.